Dental crowns have become the most popular and most frequently used component for modifying a tooth structure or completely replacing it. Crowns are commonly used to improve a tooth that has deficient tooth structure due to significant decay, congenitally small size, cracks or fissures (caused by bite problems), and trauma (which could include sports activities and accidents). They are also used in practically all forms of implant dentistry, substituting a natural root with an “artificial root form” device. This has the important bone-stimulating characteristics of natural teeth (paramount for maintaining jawbone health). Porcelain crown material is also sometimes incorporated into a variety of bridgework treatment that might be used for replacing one tooth structure (3 unit) or several across a long span (7 to 10 units). Recent advancements in dental technologies have now increased the number of choices patients have, going beyond the porcelain-fused-to-metal crowns (PFM) to 100% porcelain teeth integrated into a 100% porcelain bridge (Espe Lava by 3M). Not so….. in our practice. Dr. Nazarian uses “crown technology” for developing a treatment plan, but may have these components created with different properties depending upon the placement of the crown and the properties of other existing tooth structures, especially opposing teeth. Posterior teeth (rear teeth, molars), for example, endure extreme forces when we chew and grind our food. Anterior teeth (front teeth) are not used in the same fashion. Contact us today with any questions. Restoration products for these 2 different areas of the jaw necessarily, then, should have different properties. Although the popular procedure of using PFM crowns in posterior positions (molar areas) is used by some dentists to eliminate the concern that an all-porcelain crown would fail, Dr. Nazarian’s proprietary treatment methods using the Espe Lava product line enable most patients to have 100% porcelain products in nearly any location. 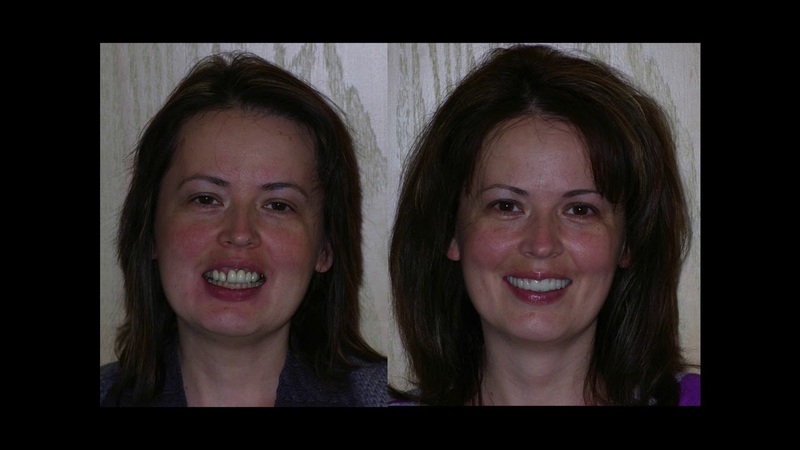 The treatment photos pictured here represent one of Dr. Nazarian’s treatment plans that incorporated an entire upper jaw reconstruction consisting of Lava porcelain crowns in every tooth position for a female patient. Through the selective use of advanced dental components, Dr. Nazarian places crowns that have no ugly black lines at the gum line, no potential for common allergic reactions, virtually no sensitivity issues (common with PFM), and has a masking quality (for dark tooth structures) that is almost unsurpassed in today’s modern dentistry. The most common, age-old problem of porcelain chipping, cracking, or falling off of a PFM crown is completely eliminated, along with the cost of total replacement (many patients are not aware that chipped PFM crowns cannot be repaired). 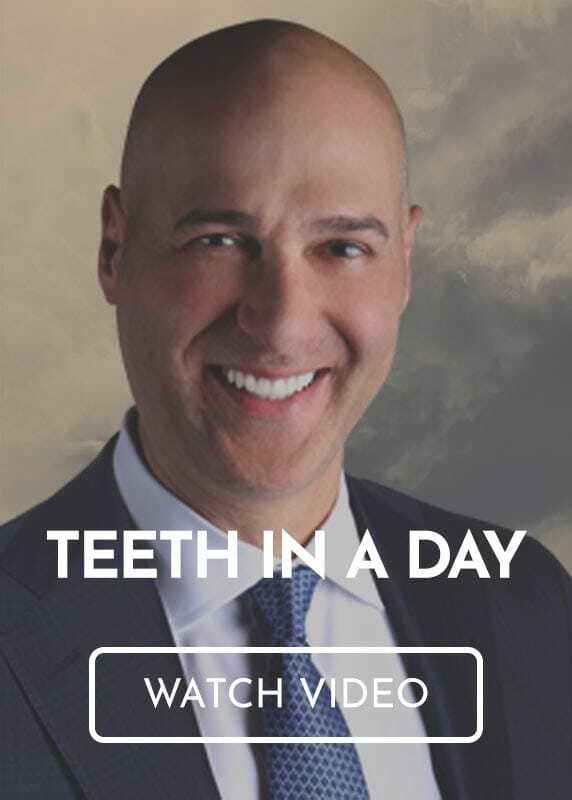 In rare cases where a metallic infrastructure is required, Dr. Nazarian uses high nobel gold to assure the best dental function, cosmetics, and long-term endurance. In our office, patients are provided a menu of treatment plans that will create any degree of cosmetic or dental function need of our patients. Depending upon the interests of the patient, products from resources including 3M-Lava™, Ivoclar Vivadent® (IPS Empress®) and Nobel Biocare® may be offered. Crown failures occur for a variety of reasons, which can include a poor cementation process, product failures, or failures that disturb a patient’s normal occlusion.